The following is a re-post from February 2016. 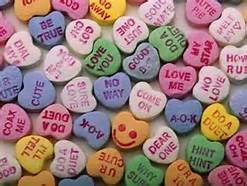 Valentine’s Day holds the promise of hearts and flowers. But some of you married gals might have the kind of husband who’s not so good at remembering these things. And what about the single girls who don’t have a boyfriend at the moment? Why should they get gypped? My advice? Buy yourself jewelry. It’s even better than going to the day spa. I’m not suggesting you do anything crazy. No Colombian emeralds or black Tahitian pearls. You don’t need to buy the kind of loot you find in the Jewelers’ Building, with the able assistance of some older gentleman in a custom tailored suit and half glasses, who calls you “Miss” and, jeweler’s loupe at the ready, offers you a free appraisal of whatever happens to be hanging from your earlobes or dangling from your wrist that day. A quick drive to the mall is all it takes to find something sparkly. Even better, you can sit on your sofa with a glass of Red in one hand and the remote in the other and find some pretty serious bling on the shopping channels. Or simply go on line to find your new bauble. Remember, you’re not out to find the Hope Diamond here. Just a pair of garnet studs. Or an amethyst ring. I’ve been buying my own jewelry for a while. Some women like to travel – I’d rather buy gemstones set in precious metals. For me, it’s one of the benefits of being a single woman in the twenty-first century. You see, the jewelry is much more than a mere indulgence. It’s a symbol. To empower you. And to remind you of your worth. Sure it’s nice when a loved one buys you jewelry. All I’m saying is that the loved one can be yourself. Each time I moved to a new place, my desire was renewed. I could see myself on a rainy Saturday, sprawled out with a book, or dreamily napping on a lazy Sunday afternoon. But a chaise lounge is not the most practical piece of furniture when you live in a small space. And every chaise I came upon was either too big, or too ornate, or too extravagant. I all but gave up my search. Even before I moved into my house, the bay window in the dining room was crying out for a chaise. The time was right and the search was on! There was the pink satin one that looked like it belonged in the parlor of a bordello; another, so industrial with its straight geometric lines, was well-suited for a psychiatrist’s office; and the wave-shaped style was too avant-garde for me. I felt like Goldilocks with the three bowls of porridge. Two weeks before Christmas, I found what I was looking for online. But there was a catch. Actually two catches. 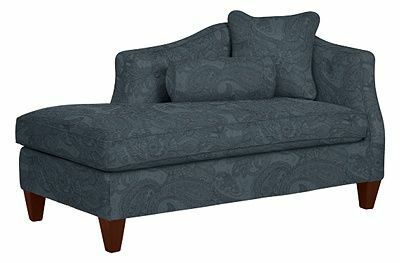 The manufacturer informed me the model was to be discontinued on December 31st and the only showroom where I could go to see the chaise was located in New Jersey. How badly did I want this chaise, and was I willing to drive 260 miles to sit in it? It was perfect. And the navy blue jacquard fabric I chose strikes just the right balance between classic and chic. I handed the saleswoman my credit card – Merry Christmas to me!